Evolutionary Astrology can give insight into the dynamics of past life healing, particularly following a distressing event, a disturbing dream, or a significant déjà vu experience. While a past life quiz or group past life regression can offer a peek into a past life, the therapeutic healing of past life traumas is very different. A psychospiritual form of healing, past life regression therapy requires you to trust in the power of your imagination and have a readiness to encounter not just the appealing, but also dark and disturbing memories from a past life. 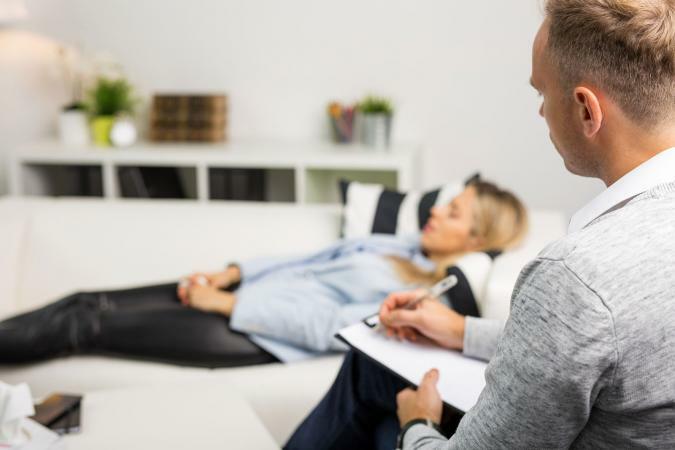 Individuals who practice therapeutic past life regression have specialized training in inducing the non-ordinary state of consciousness that is necessary to get more than just a flash of a past life. The process is effectively a form of hypnosis. When you relive a past life trauma during a regression, you actually access the emotions, sensations, information, and experience of the past life firsthand. This can lead to an intense, cathartic release of blocked feelings and emotions, most commonly fear, grief, rage, shame or guilt. The experience can also heal phobias, anxieties, and psychosomatic symptoms such as headaches, sleep problems, extreme fatigue, stomach problems, and a variety of unexplained pains in the body. If the issue you're dealing with in this life is particularly emotional and complex, the safest and most effective past life healing is done by specially trained therapists. Often an intense, cathartic response is a necessary and valuable part of a past life regression, and these responses are best handled by an individual who is trained to work with this reaction. Along with taking a normal case history, your therapist may ask you about the following. You can experience a group past life regression be viewing this Omega Institute for Holistic Studies video. Whether what you experience is real or your imagination, the life you come up with is a metaphor for issues you're dealing with and will facilitate healing. The best approach during a past life regression session is to focus on the images, stories, sensations, knowledge and emotions you experience. Report what you see and feel as the therapist asks questions and don't be concerned if it's "real" or not. Just allow the information to come, and trust whatever comes up at the time. Your therapist may ask a series of questions to set the scene. What are you wearing? How old you are? What is your name? What is the name of the place you're in? What is the date and the time of day? What are you doing, why are you doing it, and how do you feel about it? Is anyone with you? Who is it and why are they with you? How do you feel about this person? This is where it gets a little morbid, but for good reason. How you meet your end in the life you're visiting may have significant relevance to why you're experiencing problem in your current life. Was your death violent? Perhaps you drowned and now have a phobia for water, or you starved to death and now have a weight problem. What happened to your body after death? Perhaps your body was never discovered and now you have an unexplained sense of being lost or your body was unceremoniously cremated and now you have a fire phobia. Was anything left unfinished? Maybe you had unpaid debt in a past life and now you're too frivolous with your money or perhaps you were too harsh with someone in a past life and didn't get a chance to apologize, and now you carry a sense of guilt. Take your time in seeking a past life regression therapist or practitioner. There are many excellent and ethical practitioners out there, but there are also some who are not. A well-trained therapist will be a certified and experienced past life healer, of which there are several types. Psychotherapist: Seek out a psychotherapist who has specialized training in transpersonal psychotherapy and as well as in hypnotherapeutic past life regression. Hypnotherapist: Many hypnotherapists are certified in past life regression. Though not psychotherapists, their training includes how to manage extreme emotional responses. Shaman: A shamanic practitioner can help you journey into your past lives, but they are not just observing you and asking questions; they go on the journey with you. A shamanic journey can also help you retrieve aspects of your soul that have experienced trauma from past life experiences. These past life dramas give insight into your present life by allowing you to relive and emotionally experience the past. As you become aware that the past life echoes issues and situations in your present life, discuss with your therapist how you're able to integrate the emotions into your conscious awareness. This allows you to heal and let go of the past, change or shift the dynamics of your life, and move into the future with greater compassion and understanding.